"Your voicemail message stank. You mumbled so quickly that I could not determine your name, your phone number or even why you called." Have you ever wanted to call someone back and say that, but you could not, because you could not determine the caller's name or phone number from the voicemail message? It is summer in northern latitudes. Many of your customers are on vacation, prompting the option to leave a voicemail message. Do your employees know how to leave an effective voicemail message? 1. Slow down. What is the rush? Speak more slowly than you would when having a face-to-face conversation. Even today's modern telephone technology (whether traditional analog or digital VoIP) degrades the audio signal. And more and more, messages are heard through teeny tiny speakers, such as "ear buds”. Speaking more slowly improves the chances that your message will be understood on the first play-back. 2. Speak clearly. Where are you, in your car? Outside? Chances are, there is a lot of background noise. Enunciate. Also, raise your voice, to increase your "signal-to-noise" ratio. Keep your voice up all the way to the end of your message, including that last digit in your phone number. No trailing off at the end. Increasingly, business telephone systems transcribe voicemail messages into readable email or text messages. Speaking clearly improves the chance of a successful transcription. 3. Repeat. (Your name, your company and your phone number.). Give the recipient at least two chances to write down your name and phone number. In a voicemail message, "five" sounds a lot like "nine" and "two" sounds a lot like "three", when rushed, spoken softly or trailed off at the end of the message. If it is important that you have effective communication with your contact, never depend on a single voicemail message as the sole method of communication. If you leave a voicemail message, consider it to be a precursor to subsequent, more effective communication, not a substitute for effective communication. Have the contact's assistant or receptionist take a hand-written message. Do not wing it. 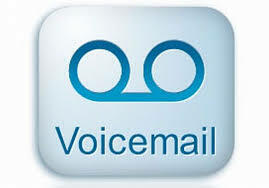 If it is important enough to leave a voicemail message, then it is important enough to leave a quality message. Before you call, get your thoughts together and be prepared to leave a concise, well planned message. If you are caught off-guard by the recipient's voicemail greeting, then hang up before the greeting ends. (Yes, his/her phone system will capture your caller ID, but not a message. That is still better than leaving a bad message.). Get your thoughts together, and then call back and leave a concise, well planned message. Do not expect a response. Ever. It is your responsibility to have effective communication with your intended contact, not his/hers. Call again. Send an email. Find out from your contact's assistant, receptionist or co-worker when the contact will be at his/her office again, or when the best time to call is. Do not depend on "caller ID". That is, do not assume that the voicemail recipient's "caller ID" function will capture your phone number correctly. If you are calling from your office, it is likely that your company's main phone number will be captured, not your "direct dial" number or extention number.